Maps are indispensable tools for representing the geographic distribution of languages and language features. For scholars interested in a single language, maps reveal patterns and relationships that are important in the delineation of dialect boundaries. Over the last hundred years, the types of maps used by American language scholars have changed considerably. 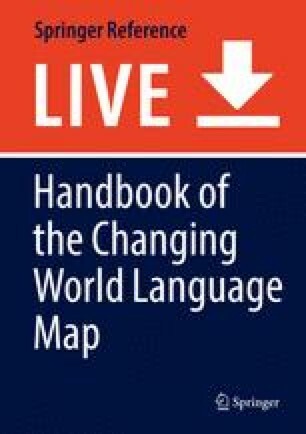 In this chapter, we trace events that have shaped methods used to represent spatial variation in word usage, grammar, and pronunciation. We begin by exploring large-scale projects that documented variation in American English such as the Linguistic Atlas of New England (LANE), launched in 1929 by members of the American Dialect Society (ADS). In subsequent years, the ADS provided support for other regional atlases aimed at representing individual language features and identifying dialect areas. Along with examining the benefits and shortcomings of early methods for representing language features, we examine the role of scientific cartography in influencing dialect mapping during the second half of the twentieth century and beyond. For example, new visualization techniques, quantitative analysis methods, and computer-based systems enable language features to be studied over both space and time. Eisenstein, J. (2014). Identifying regional dialects in online social media. MS, Georgia Institute of Technology. https://smartech.gatech.edu/handle/1853/52405. Accessed 1 May 2016.